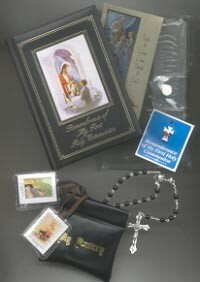 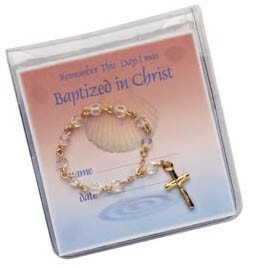 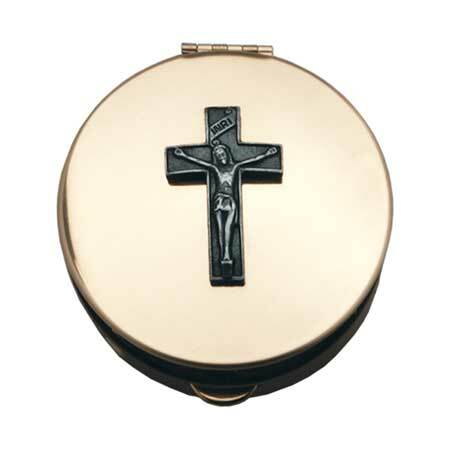 Plastic crib medal with 3-1/2 inch Guardian angel medallion and a metal crucifix, complete with matching ribbon. 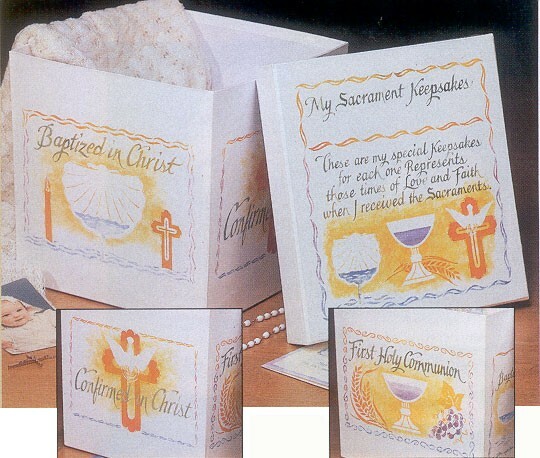 All presented in a gift box. 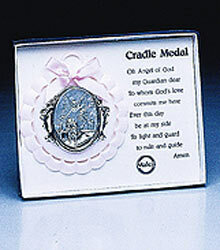 The crib medal and ribbon are available in White, Pink and Blue.